Congratulations to our Client GirlEO for their feature on Fox 4 News! GirlEO offers a diverse selection of stylish, custom-designed rhinestone tees, tank tops, boy shorts, hoodies and accessories.Â Particularly popular are Girl ExtraOrdinaireâ€™s fun, creative wedding accessories, which include personalized sashes and tank tops that can be used to cheer on a bachelorette party; tote bags that can be custom-designed with a girlâ€™s name; and an adorable ring brooch perfect for dressing up purses or jackets. Not only does the company excel at design for wedding parties, but they also do blingÂ t-shirts for sports teams, schools, birthday parties, holidays….just about every occasion imaginable. 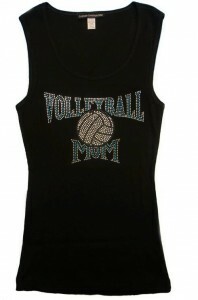 Tailgate in style, show your school spirit and cheer on your favorite sports team with rhinestone tees from GirlEO. Check them out at GirlEO.com!